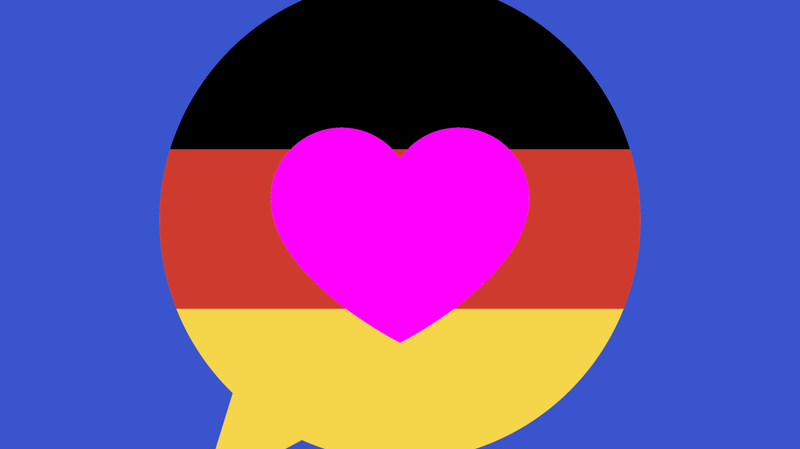 Liebling (darling), engel (angel), honigbiene (honeybee)—German has a number of terms of endearment to call those close your heart. But because it also likes to form compound words and add endings that cuten up whatever they attach to, it offers a lot of creative leeway in coming up with ever more delightful terms. Here are 15 adorably wunderbar German terms to try out on your sweeties. One of the most common terms is Schatzi, or little treasure. What else can you smooch, or rather smooosh? Cheeks. Schumsebacke is "shmoosh cheeks." The animals of endearment like bär and maus can attach to other nouns too, like … tooth? Mausezähnchen is “little mouse tooth.” Imagine how small and cute one of those must be! The animal terms can combine with each other too. If a mouse is cuddly and cute and a bear is cuddly and cute, just how stinkin’ cuddly and cute is a mousebear? Schnecke is a snail, and while snails may not rank high in adorability for English pet names, they show up a lot in German ones. The melodious Schnuckelschneke is "nibble snail." Igel is hedgehog and it’s hard to get cuter than hedgehog, but “little hedgehog snout” should do it. Along with the bear, mouse, snail, and hedgehog, the bunny, or hase, figures prominently in German pet names. Knuddelhase is a good one, but hasenfürzchen or "bunny fart," is better. If sweetness is what you’re after, you could go for süsse (sweetie), honigbär (honey bear), or zuckermaus (sugar mouse). But if you’re going to go sweet, why not go all the way to honigkuchenpferd, or "honey-cake-horse"? Knutschkugel is "smooch ball," and in addition to being a term of endearment, it’s a common nickname for those little round two-seater cars you see on European streets. Speaking of roundness, you wouldn’t necessarily want to be called moppel—it means something like "fatso." But moppelchen, or "lil’ chubsy," says it with love. The best way to translate Schnuckiputzi is simply "cutie pie." You can get carried away with the repetitive rhyming potential of these terms, leading to nonsense (but somehow perfect) ones like Schnurzelpurzel. This creation ranks 139 on a list of terms of endearment at this German baby name site. It translates to cutiepiebunnymousestrawberrytart and is something of a term of endearment, lullaby, and bedtime story all rolled into one.